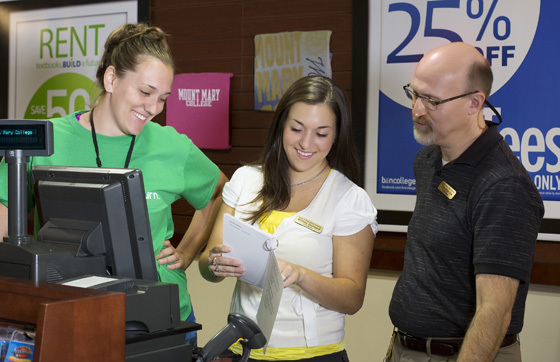 Managing a Barnes & Noble College store doesn’t require one skill, it takes many. Decisions about everything from textbook choices to daily interactions with faculty, students and publishers are all part of the job of ensuring managers and their stores provide the best possible retail and digital learning experience. 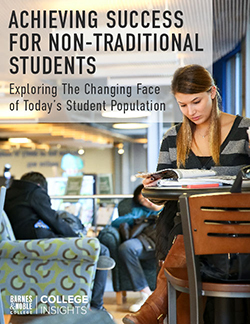 It’s just one reason why Barnes & Noble College invests so much in its people – and in one of the most comprehensive on-boarding programs in academic retailing management. It’s no accident that newly promoted managers and new management hires start their training in the most appropriate learning environment. 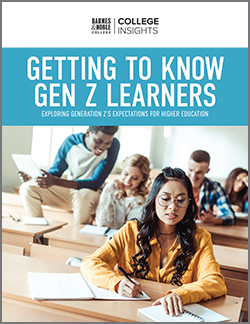 “It’s much more valuable for our managers to begin their training with hands-on experience in their own stores,” explains Barnes & Noble College’s Director of Learning and Development, Pam Bonnell. “By the time they start formal classroom training, they will have already learned a lot about the industry and the kinds of skills the job demands,” she adds. Throughout the process, trainees follow an extensive on-boarding program based on the Roadmap for Success — a detailed playbook of every task required for store management. The self-paced, nine-stage program requires trainees to complete periodic “knowledge checks” on BNC Learning, Barnes & Noble College’s Learning Management System (LMS), to assess how well trainees have mastered each set of skills. Developing new managerial talent is always a top priority at Barnes & Noble College. Booksellers who show potential can apply to the Barnes & Noble College Management Development Program. Participants, known as “Bestsellers,” follow a program similar to the Roadmap for Success and complete a unique combination of on-the-job training, formal learning sessions and special retail projects. As each campus store is so unique, a big part of developing store leadership is also learning the specific customer needs and personalities of their school stores.